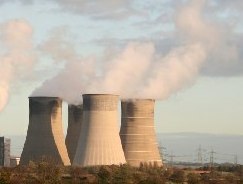 Home » Energy » Would more coal-fired power stations would be a mistake? Would more coal-fired power stations would be a mistake? Building more coal-fired power stations would be an environmental and economic mistake, according to the Australian Academy of Technology and Engineering (ATSE). ATSE made the statement amid media speculation that the Government would use the ACCC’s recent report to justify underwriting baseload power investments based on coal. ATSE President Professor Hugh Bradlow FTSE said the Academy had long advocated for technology-neutral policies that could address the energy trilemma – providing reliable and secure electricity, at an affordable cost to the consumer, while reducing and eventually eliminating greenhouse gas emissions. “New coal-fired power stations will not reduce the cost of electricity and will not aid efforts to reduce emissions. “The main reason coal fired plants struggle to obtain funding is the concern around dramatically reduced economic service life for such plants as we transition to an electricity system with lower emissions.